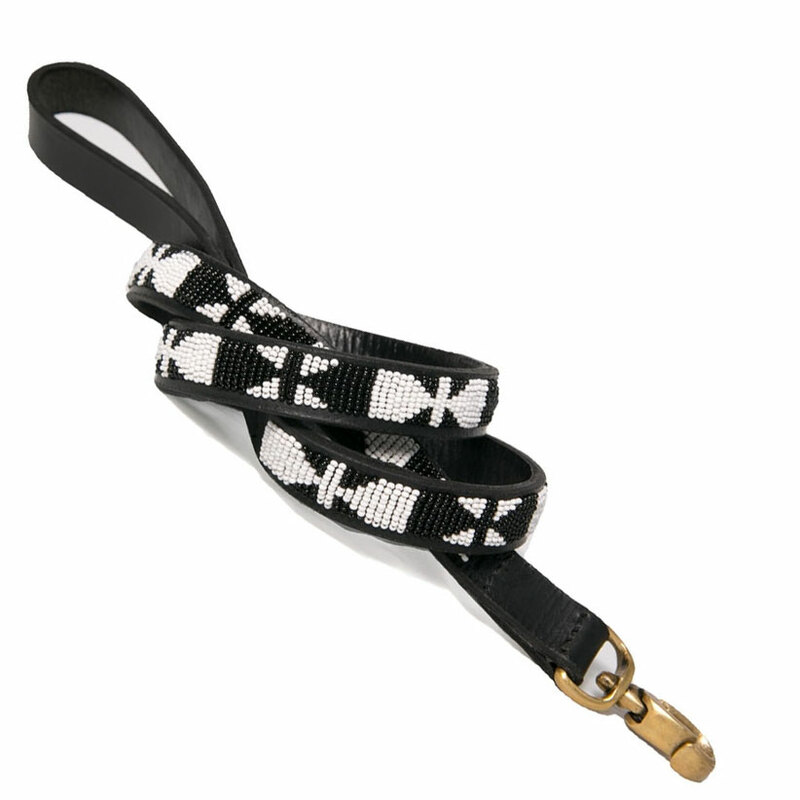 Handmade African Beaded Leather Leash- Ebony & Ivory by Kenyan Collection. Black and white in random pattern on black leather.. Customers tell us these are the highest quality and most unique beaded leashes they have ever seen! The beading is done by Maasai "mamas" working in their home area. By meeting with their designer weekly to receive materials, the artisans can earn a living while maintaining their rural and more traditional lifestyle. 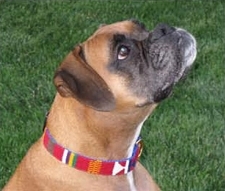 Averaging one collar per day, the mamas create these original, one-of-a-kind designs. Beads are hand sewn in leather anchoring every 4-5 beads back into the leather. A second piece of leather is glued and stitched on the back for comfort and durability. Clasps are solid, hand-cast brass.